Okay, Solstice lovers, mark your calendars! PechaKucha Night is this Friday, 9/20, 7:00pm at the Gas Light in Portsmouth! The theme for the night is "Out on a Limb," where folks will tell their tales of uncomfy situations and how they survived them - in exactly 6 minutes and 40 seconds. I'll be telling the story of my story - the behind-the-scenes stuff behind how the heck I got here. Check it out! Book Signing on Wednesday, October 16, 7:00pm at Strafford Wellness Massage in Rochester! 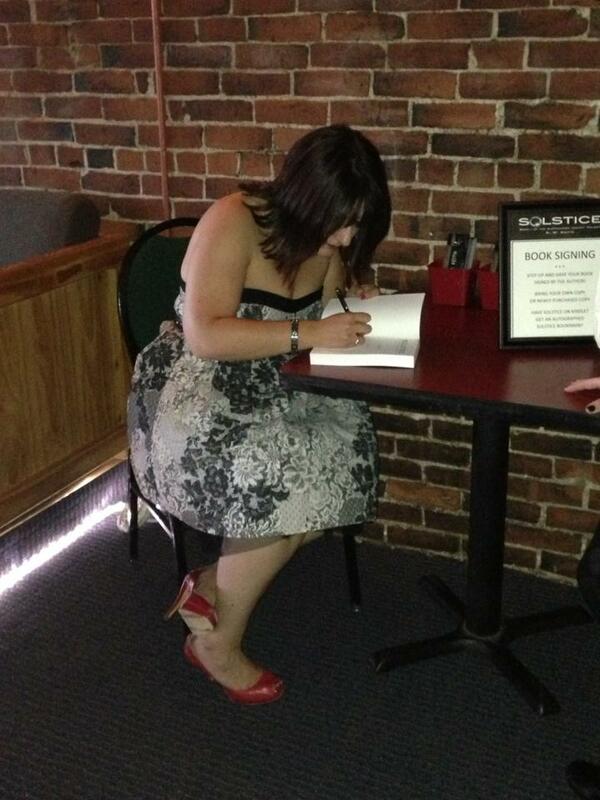 Couldn't make it to the launch party and still pining for your own autographed copy of Solstice? Or now you've got friends who want theirs, too, so they stop holding your copy hostage? Then I invite you to attend my next book signing at Strafford Wellness Massage, 165 Charles Street, Suite 10, Rochester. Come see what the excitement's about! Book Signing on Wednesday, January 15, 7:00m at River Run Bookstore in Portsmouth! Since you're all buying copies of Solstice for everyone on your holiday shopping list, send them to River Run on 1/15 to have their books signed! More details to follow on my first bookstore event!